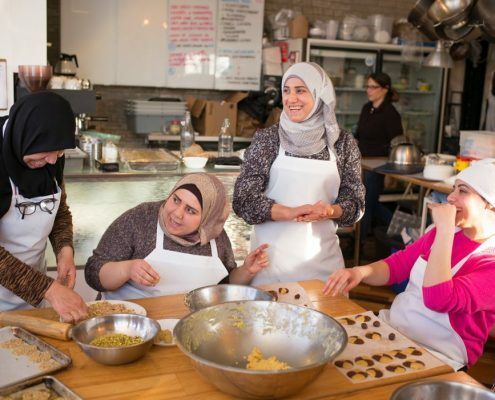 No Syrian food businesses has felt the spotlight more acutely than Newcomer Kitchen, a nonprofit group of women who come together each Wednesday to cook a traditional Syrian meal in a small cafe and food business incubator called the Depanneur. 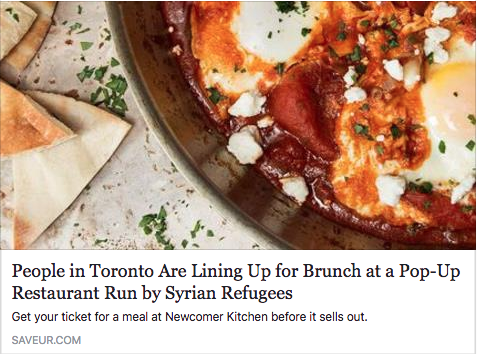 Until recently, Syrian food was hard to come by in Toronto. 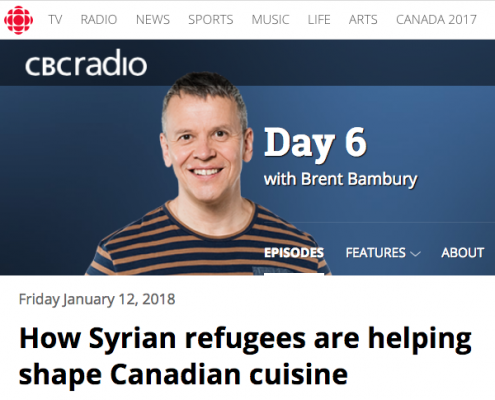 But that's starting to change, thanks to the recent influx of more than 40,000 Syrian refugees to Canada — including around 11,000 in Toronto, where Syrian cuisine is beginning to take root. 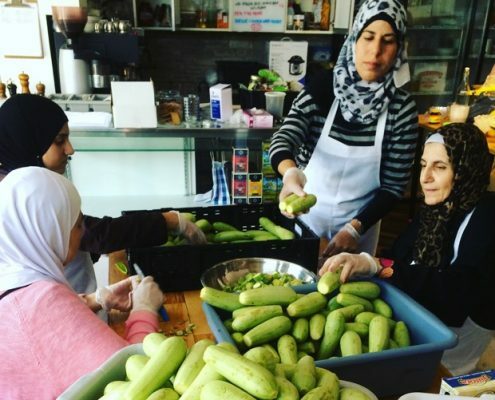 Support and donations are pouring in to help a fledgling social enterprise for Syrian refugee women that was at risk of shuttering because of a lack of funding. 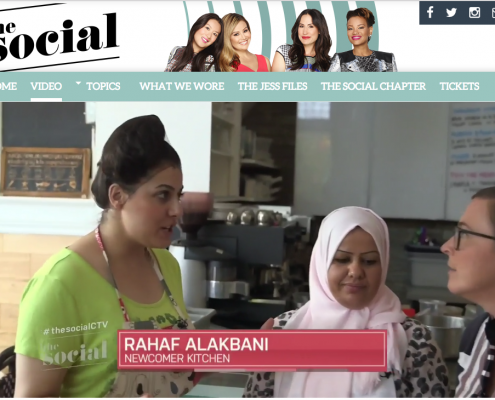 Rahaf Alakbani and Cara Benjamin-Pace on how a Syrian “Newcomer Kitchen” was saved from being shut down thanks to a crowdfunding campaign. 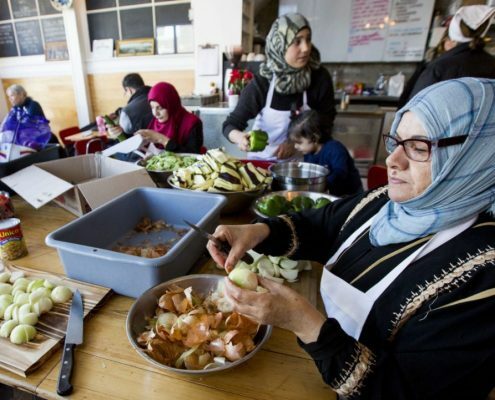 For almost two years, the Newcomer Kitchen, housed in the Depanneur, a culinary incubator on College St., has been the weekly gathering place for Syrian newcomer women, where they share stories and experiences, as well as joy and tears — all while using their cooking skills to make food for catering and meals for the public. 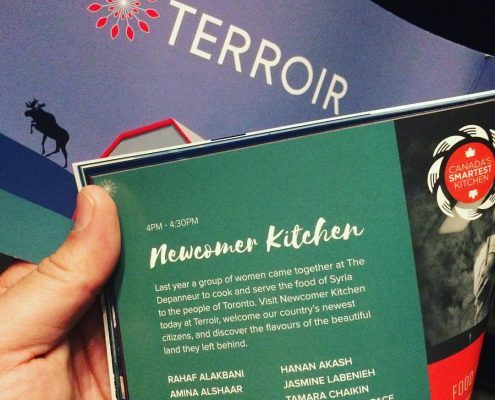 Monday was an exciting milestone for Newcomer Kitchen, as we offered samples of traditional Syrian dishes to more than 600 attendees of the Terroir Hospitality Symposium at the AGO, one of the most prestigious food conferences in North America. Imagine packing up only what you can carry. 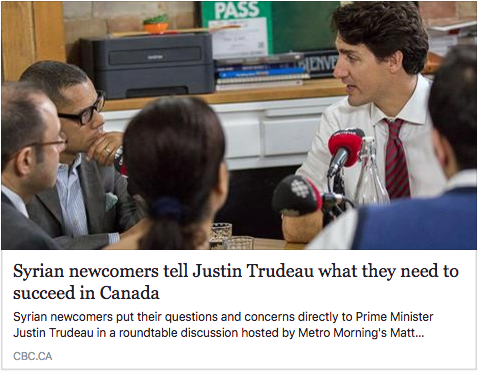 Imagine fleeing a war-torn country and landing as a refugee in Canada. Now picture a kitchen. The different smells, the cacophony of sounds. 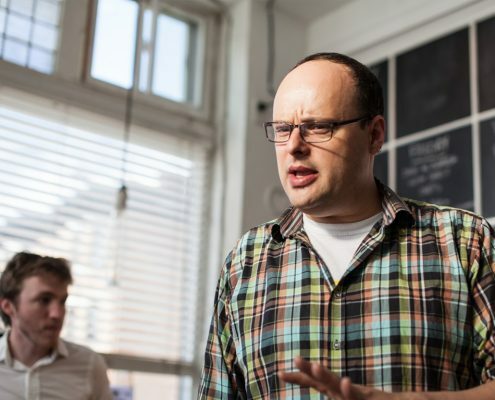 There is laughter, there is sharing, there community in this kitchen. There is healing. 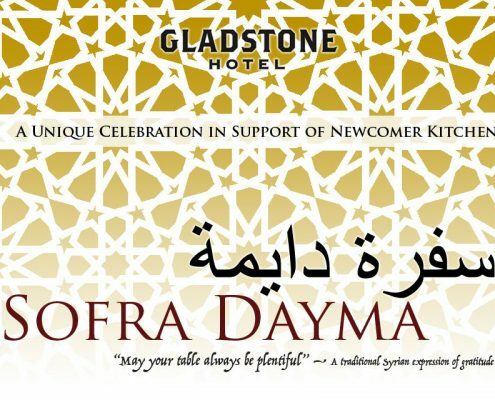 "We want to celebrate that they hold the ancient knowledge of one of the oldest cuisines in the world," co-founder Cara Benjamin-Pace said. 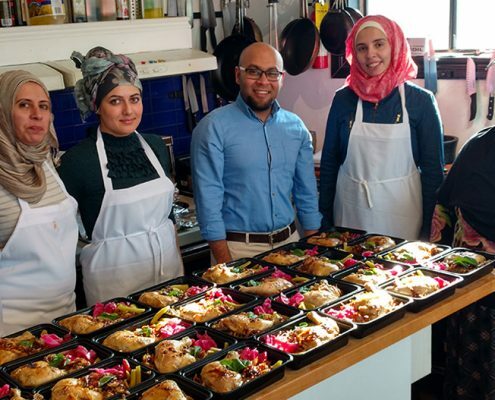 "Our goal is not to train these women into line workers in the food industry. 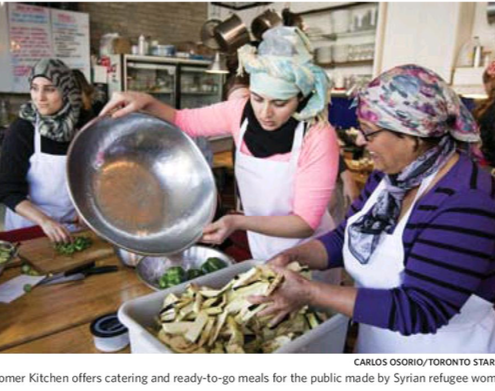 Our goal is to bring them together and celebrate them as women and in the community." 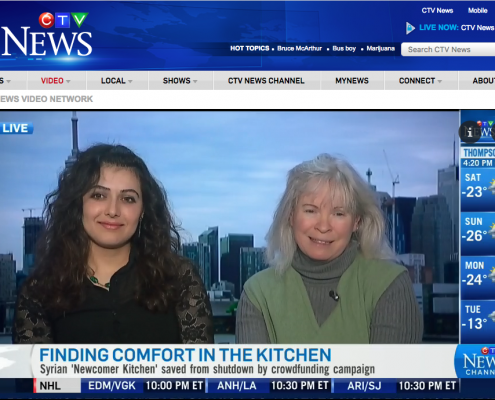 Len Senater heard that many Syrian refugees who came to Canada were living in hotels and had no kitchens to make their own food. 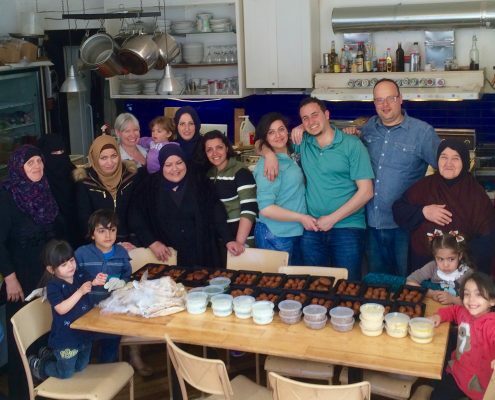 He did have a kitchen and wanted to provide a space where Syrian refugee women could cook. 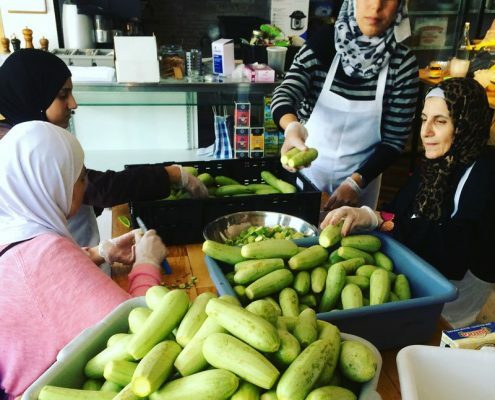 The Syrian women of Newcomer Kitchen invite you to celebrate their remarkable accomplishments of this extraordinary year.